Born and raised in Vivian, La., Phil Robertson came from a large family of seven children. With little money and a home located in a rural setting near Shreveport, hunting became an important part of his formative years. 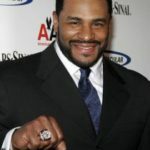 As a high school athlete, Phil earned All-State rankings in football, baseball, and track; which afforded him the opportunity to attend Louisiana Tech University with a football scholarship. 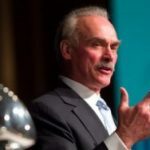 During his time at Louisiana Tech, Phil played first-string quarterback ahead of Terry Bradshaw, who later led the Pittsburgh Steelers to four NFL Super Bowl titles. 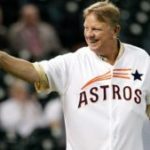 Phil jokes, “Terry went for the bucks, and I chased after the ducks.” After receiving a bachelor’s degree in physical education and a master’s degree in education, Phil spent several years teaching in Louisiana schools, where he was acclaimed an excellent teacher by his students. After several years of teaching, and despite his popularity among his students, Phil came to the conclusion that his time and talents would be better spent in the woods. 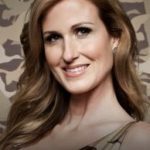 Phil and his family, which by now included his wife, Kay, and four boys – Alan, Jase, Willie, and Jep – began a quest to turn his passion for hunting and fishing into a livelihood. Never satisfied with the duck calls on the market, Phil began to experiment with making his own call that would produce the exact sound of a duck. Phil’s goal was to create a duck call designed for duck killers, as opposed to “world champion-style duck callers,” as Phil described them. 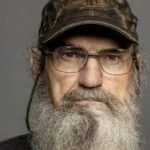 Phil stated, “No duck would even place in a duck-calling contest.” In 1972, Phil Robertson gave up a coaching career for his love of duck hunting when he whittled a better duck call than any on the market: the first Duck Commander call. In his first year, Robertson sold $8,000 worth of duck calls and his wife, Kay, somehow managed to feed their four boys on that salary. The same year, he received a patent for his duck call, and in 1973 he formed the Duck Commander Company. The Robertson family’s home in West Monroe, La. became the Duck Commander factory where he and family members assembled, packaged, and shipped all of the duck calls. Phil traveled from store to store in various states, but most of his attempts to sell the new product line ended in rejection. In fact, one large store in Stuttgart, Ark. literally laughed him out of the building. Ironically, that store now is one of the Duck Commander’s largest accounts. In the beginning, Kay and her sons helped Phil with the Duck Commander business while also running a commercial fishing business on the side that helped keep food on the table.In the mid-1970s, Phil made dramatic lifestyle changes and turned his life over to the Lord. 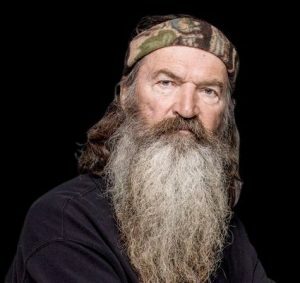 Phil Robertson is known not only as The Duck Commander, but also as a man of great Christian faith. Every year, he is invited to speak to hundreds of churches and organizations, sharing what the Lord has done for him and what the Lord can do for others. Duck Commander is still a family business today, with all four sons and each of their wives either presently working or having previously worked for the company at one time or another. However, the Robertsons no longer build, package, and ship calls from their home on the Ouachita River. The production has moved to a warehouse located in West Monroe, featured on A&E’s hit television series, Duck Dynasty. Since 1973, Duck Commander Products have been sold in all 50 states and in several countries and the business now includes much more than duck calls. Not long after the success of the call, Phil began a series of instructional videos, developing a worldwide fan-base of fellow duck hunters. The Duckmen videos revolutionized duck hunting with its rock ‘n’ roll, “in-your-face” style, rightfully claiming leading authority status in the hunting industry. Phil’s calls and techniques help fellow hunters bring ducks right into their blinds, and The Duck Commander faithfully swears by the deadly effects of his calls. It isn’t often that a person gets the opportunity to live out his or her dream, but Phil Robertson has proven it is possible to achieve your goals with vision, hard work, helping hands, and an unshakable faith in the Almighty. If you ever wind up sitting face-to-face with Phil Robertson, you will see that his enthusiasm and passion for duck hunting and the Lord is no act, truly making him a man this nation has come to know, respect and love. Phil’s biography, Happy, Happy, Happy spent many weeks at number one on the New York Times Best Seller List and is a nominee for Best Memoir/Autobiography on Goodreads.com. Known for standing passionately behind his beliefs, Phil was recently honored as the second recipient of the annual Citizens United “Andrew Breitbart Defender of the First Amendment Award” at the 2015 Conservative Political Action Conference this past February.